Riley says Happy Fall Y’all! 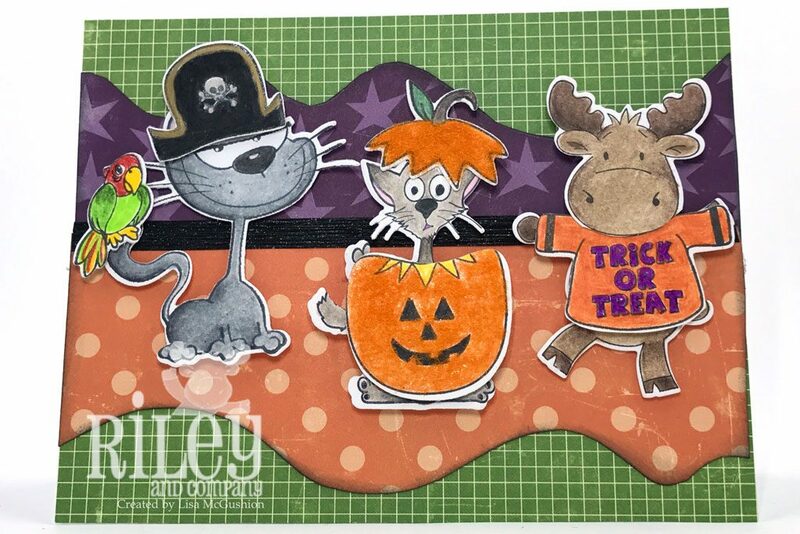 For this card I used the Dress Up Riley Stamps and Dies and the Dress Up Riley Fall Clear Stamps and Die. Riley, Felix and Burt (and their matching dies) are ready for Halloween. I used the Dress Up Riley Halloween Outfits for their costumes. Check out Riley and Co. Blog for more inspiration. 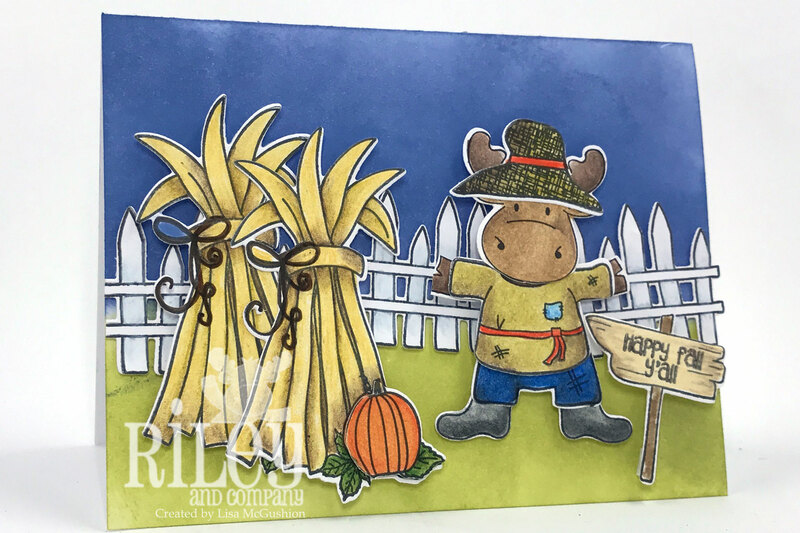 Cute designs Lisa! Love the patterns and use of inks!